I’m about to re-enter music-workshop-world — not just Memphis dulcimer workshop world — but general music workshop world — at The Holy Moly, in the downtown historic blues precinct of Clarksdale, Mississippi! This is so exciting! I chose to study the mountain dulcimer in my leisure time, through workshops and independent practice, when I attended the Memphis Dulcimer Festival and took a beginner dulcimer workshop, in 1990. The workshop method of relaxed, casual, hobby/leisure learning among other people with similar interests, without academic pressure, was perfect for me. I was able to learn to play a string instrument at my own pace and enjoy making music for the simple joy of making music. I enjoy the schedules and the organisation and group activities that an academic world provides, but I do not enjoy the stress of taking tests and receiving scores nor the guilt and shame that sometimes comes with all that. I get inspired when I see and hear inspired musicians. I learned this about myself when I was a teenager, and I was reminded of it in 2000, when I attended my first week-long mountain dulcimer workshop in Swannanoa, North Carolina. That was the year I decided I wanted to host/facilitate educational, entertaining, music gatherings. During my return for a second week-long mountain dulcimer workshop at the Swannanoa Gathering during the summer of 2001, I began my plan to host mountain dulcimer events in a classroom that was available to me in Memphis, Tennessee. By the end of 2002, I had planned and hosted the first Memphis Dulcimer Gathering with Larry Conger and was scheduling a second annual event. My first mountain dulcimer event was a great success, as it was a lot of fun and, for me, confirmed that the world needed more music workshops for people like me who just wanted to make more music. A lot of musical fun was launched in 2002 from the first event I hosted with Larry Conger and a couple of friends. The Memphis Area Mountain Dulcimer Club was started and commenced its monthly meetings. 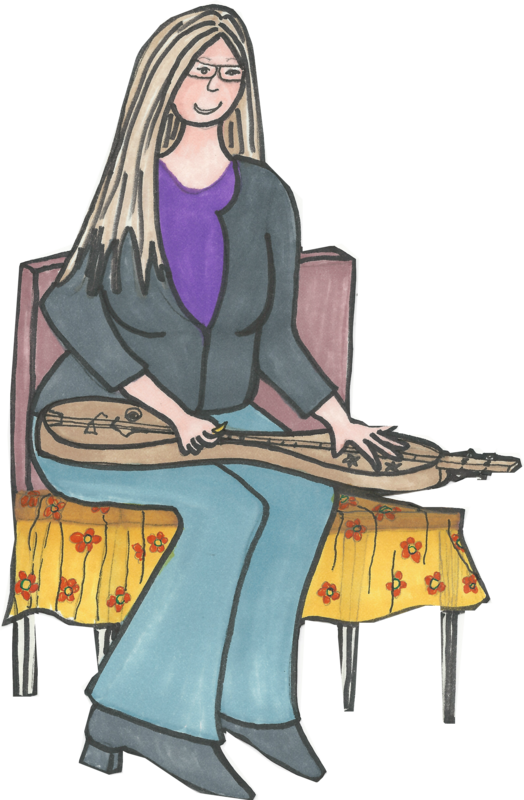 In 2004, I co-founded and became the first president of The Memphis Dulcimer Gathering, Inc., a 501(c)(3) organisation. The Memphis Dulcimer Gathering & Folk Festival, an annual September event, came to be just as beautiful and musically-nurturing as the old Memphis Dulcimer Festival that had inspired me. I felt blessed to be part of a world of positive musical movement. Unfortunately, in 2007, I attended my last week-long mountain dulcimer workshop in North Carolina, the same year I resigned as president of the Memphis Dulcimer Gathering, Inc. My life’s circumstances were changing for the better, but my connection with Memphis dulcimer workshops and house concerts was fading. Although you won’t hear many mountain dulcimers, on any night of the week, live music can be found, here in Clarksdale. And, some Clarksdale musicians go on world tours, advancing with the musical momentum of the Mississippi Delta. But, the Mississippi Delta needs musicians to come here for mutual inspiration. I need musicians to want to come here for inspiration, whether to learn more about the blues or to be inspired by Americana music, in general. So, here I am ready in Clarksdale, Mississippi, in the historic downtown blues precinct, to co-host the Juke Joint Jam Academy, a Clarksdale Juke Joint Festival related event, with my husband. I encourage other musicians to gather here to study instruments that interest them and become inspired to make more music, start a music club, lead a music workshop, host a house concert, or just enjoy the music of Mississippi. To learn how to host music events, I recommend attending music events. I've just spent the last few months in Daylesford, Victoria, Australia, feeding and photographing the beautiful birds in my backyard. I should just let the pictures speak for themselves. Here are only a few of the thousands and thousands of photos I have taken with my iPhone 5. Adrian & Carla are in Clarksdale, Mississippi, through the end of June, 2019.They recently performed in their American home, "The Holy Moly," during the city's Juke Joint Festival. The Holy Moly, Masonic Temple Building, Clarksdale, Mississippi, is the newest location for TeacherLink activities. The Holy Moly is located in the Historic Downtown Blues Precinct of Clarksdale, and it is the perfect place to mix roots, blues, bluegrass, and much, much, more music together. The Holy Moly Masonic Temple, Clarksdale, Mississippi, U.S.A.
We have returned to Clarksdale. Adrian's green card was waiting for him when we arrived! We are in Daylesford, Victoria, Australia, for the next couple of months, taking care of our group accommodation business and catching up with family & friends.It feels good to know that coming and going between Australia and the U.S.A will be a bit easier, now that Adrian has permanent resident/green card-holder status.